This morning I downloaded some video that I took of Makenzie riding her bike off of my phone and onto Facebook and YouTube. I booted my computer up and was fully intending to post a video this afternoon of the bike riding but I got distracted. In the last three months the format of Makenzie's YouTube channel was changed and instead of playing one video, it was set to play video after video. Well, I sat and watched video after video. I watched the video I took of one of Makenzie's very first laughs after her accident and with each video I realized something pretty cool. I realized that since Makenzie learned how to smile and laugh again I have literally lived in a world of constant laughter and happiness. I challenge you to go to Makenzie's YouTube channel and just let a few videos play. 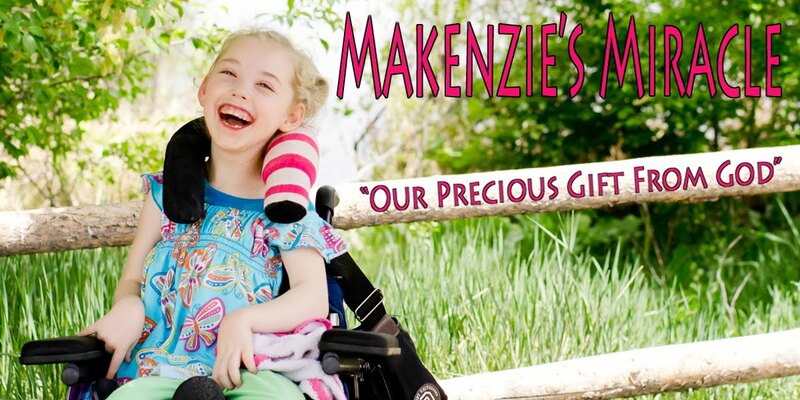 You will be hard pressed to find more than a handful where Makenzie is not laughing even when she is being physically challenged. Every time a video was over and a new one started I found myself with a bigger smile on my face and Makenzie sat next to me laughing at herself laughing. God is so good and I am so blessed. There is no doubt that this journey has been hard and many times excruciatingly painful......... BUT......... though it all God brought laughter in the midst of many storms through Makenzie's amazing personality. Wow, look at her go! That's amazing! I always felt so free on a bike -- can't even imagine how wonderful it must feel for her. Woah! Good job Makenzie - I can't believe how much you have grown either! Has Mummy been watering you like a plant everyday? 'Cause you are sooo big! Woah! Good Job Makenzie, fantastic riding - I can't believe how much you have grown either! Has Mummy been watering you everyday? 'Cause you are so big!